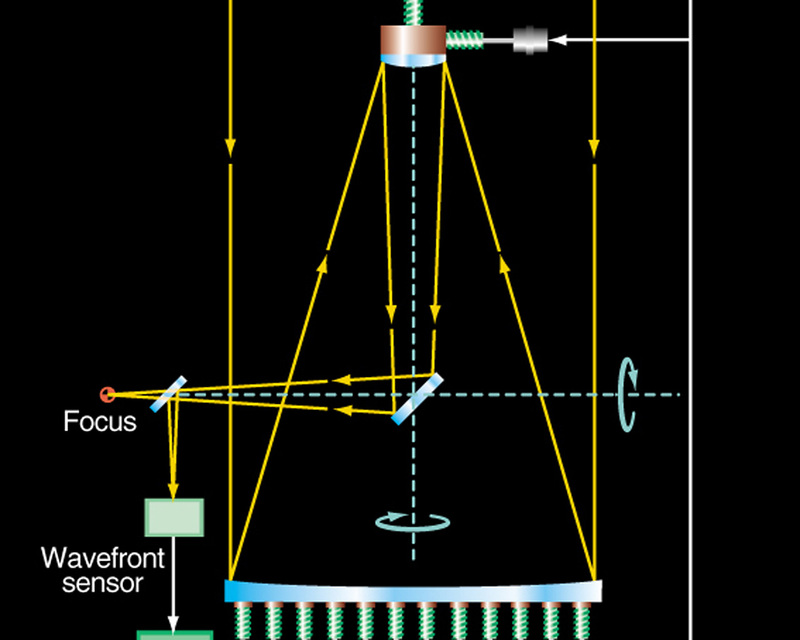 The VLT Active Optics System provides complete control of the VLT optics and optimizes its performance in all telescope positions. 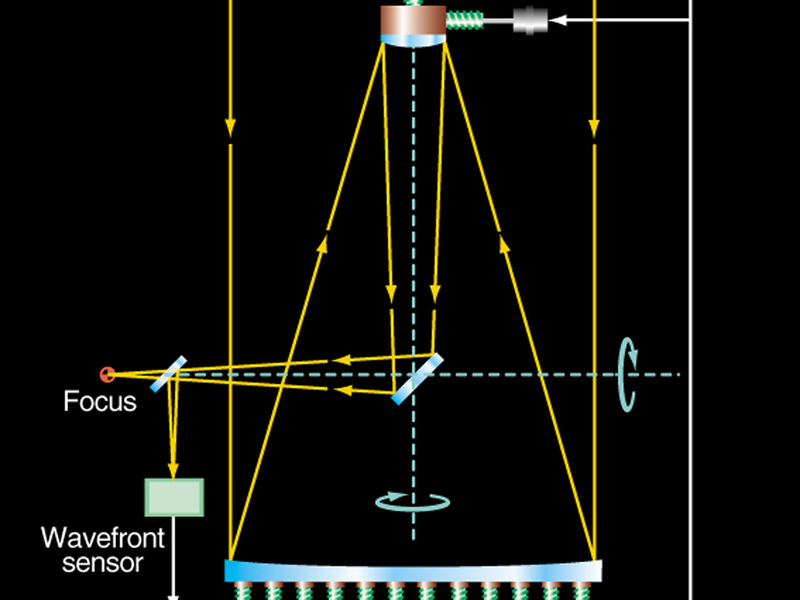 This is achieved by changing the shape of the primary 8.2-m Zerodur mirror and also shifting the position of the secondary 1.1-m beryllium mirror at the top of the telescope structure. 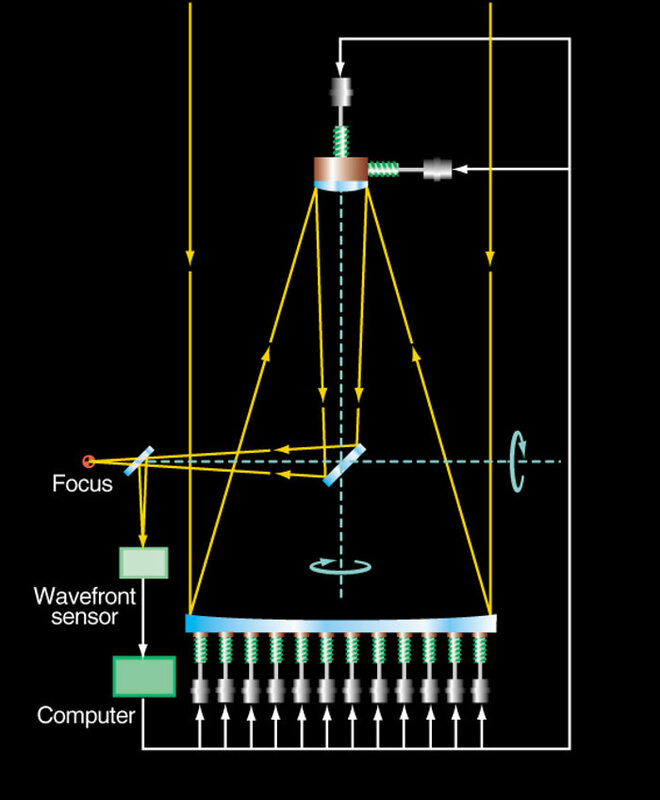 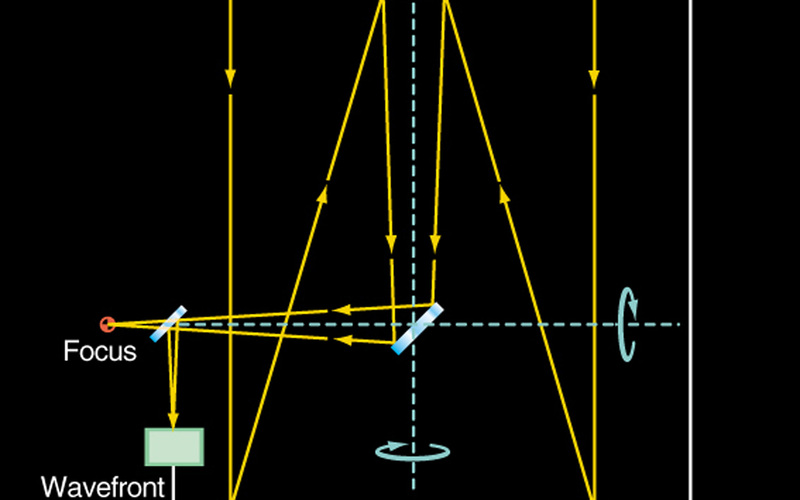 A stellar image is registered by the "wavefront sensor" and analysed, where after corresponding correction signals are generated to move the mirror supports.